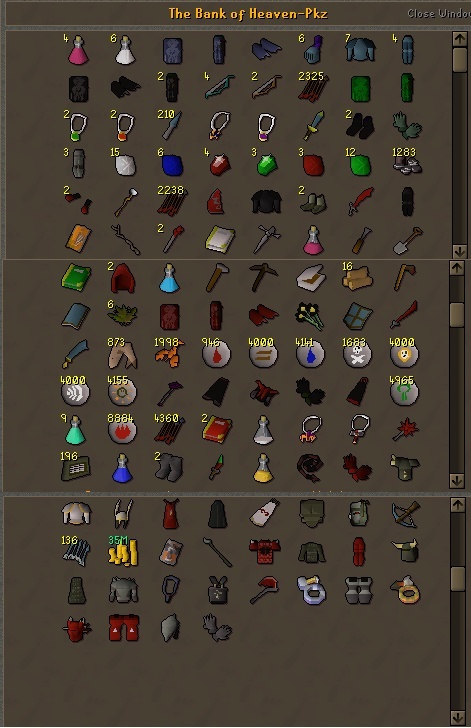 ok so this is my bank most of it is junk but whatever comment on it how you like. I like bottom the most. The bandos is pretty sick tbh, the rest is like meh but useful when its needed.